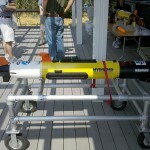 I was able to attend the 2010 Bay & Estuarine Technologies Workshop (BEST) last week. It was held July 27-30 at the Environmental Science & Training Center at COL in Oxford, MD. 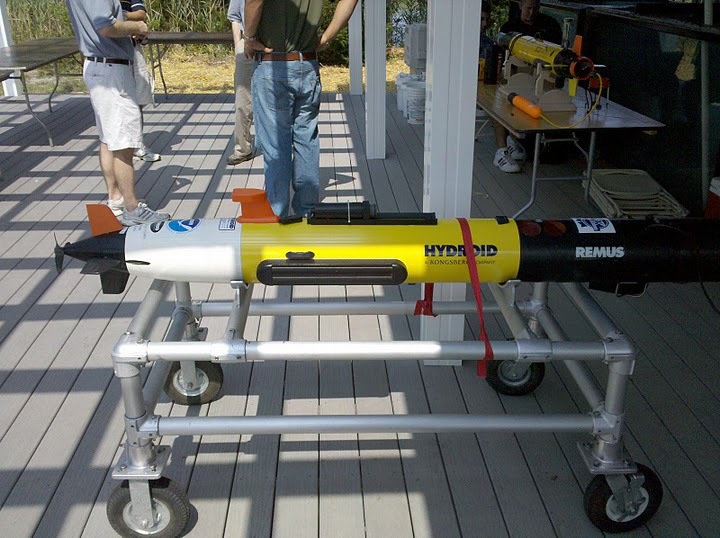 Also called the “BEST by the Bay” workshop, this years workshop is a follow-up to last years “AUVs in the Bay I” which was held in June of 2009. I am a first-time attendee and it was well worth the trip. There were some awesome technologies on display at the center, including Buoys, Autonomous Underwater Vehicles (AUVs), Unmanned Surface Vehicles and other technologies that allow for limited human interaction in the collection of water quality data in remote regions of the bays and estuaries. The workshop focused on “the application of sensors used in estuarine systems and storing the data using IOOS protocols so it can be used in environmental forecasting models, such as hypoxia”. I was only able to attend the Wednesday portion of the program, so I’ll only write about what I saw. After walking around and drooling on many of the AUVs and ROVs on display (lucky they are all watertight) we went around the room and introduced ourselves and the meeting started. 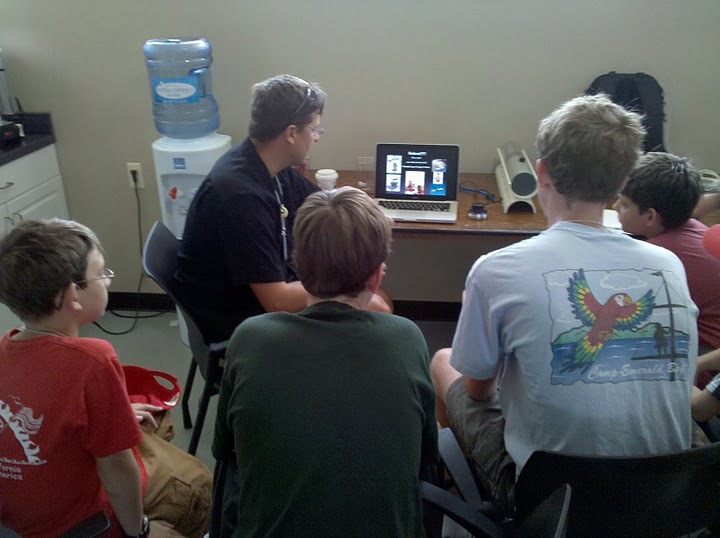 Attendees included a wide gambit of technology vendors, managers, scientists and even educators, students and boy scouts. The head honcho Doug Levin of NOAA quickly took charge and got all of the AUV operators who were going to run a mission on task to program their AUVs for the task at hand. In addition to the science mission, the day also included a keynote and several other presentations throughout the afternoon. 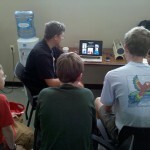 I took a few minutes and recorded a few Question & Answer sessions with some of the attendees. I hope to cobble those together and get them online sometime soon.